Fully responsive design using Joomla 3 and the T3v3 Template Framework. 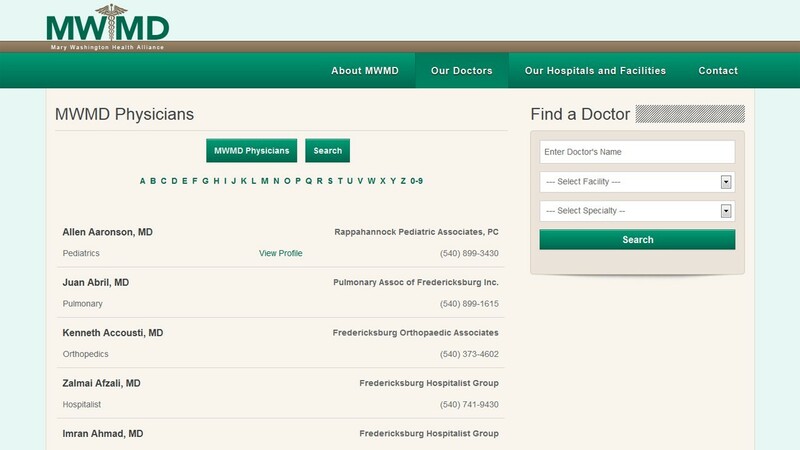 Custom physician's directory built with SobiPro and custom templates. 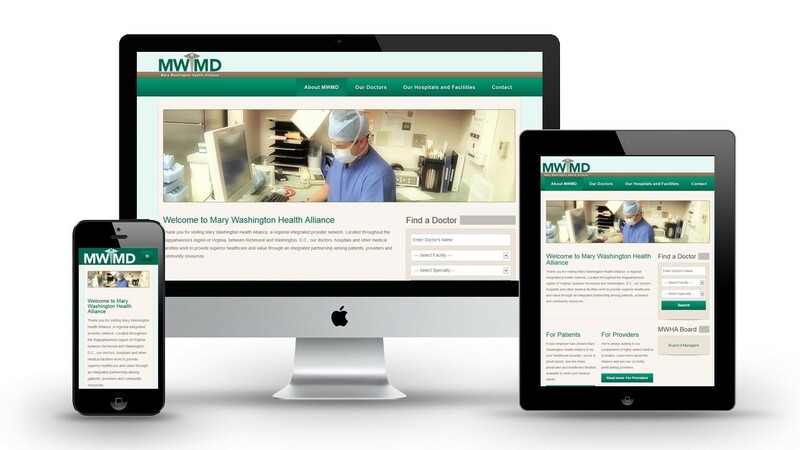 The Mary Washington Health Alliance is a new site build on Joomla 3.2. 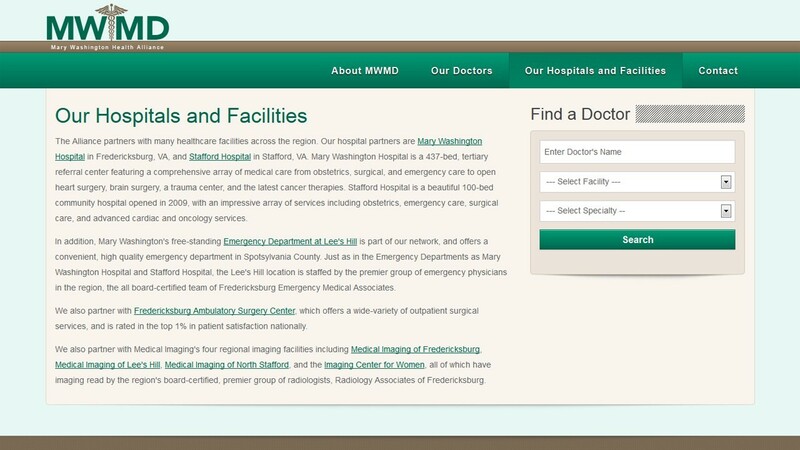 Our team started from scratch on this project as the MW Health Alliance had no existing site before. The site is a fully responsive custom design built on the T3v3 Framework. Our team included a custom SobiPro directory and templates. We also built custom modules including a SobiPro Search and Ajax Contact required for their unique site.